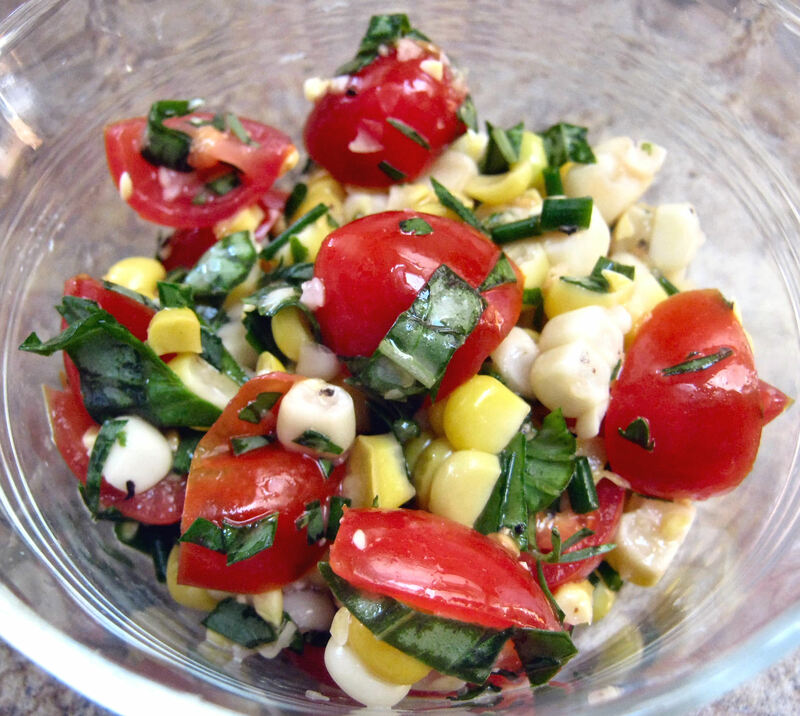 I first made this salad for a summer party when I needed something to do with fresh, seasonal corn and ripe tomatoes. There was already plenty of other food, but since there was space on the buffet table, I figured I’d experiment with something new. I’m so glad I did, as it was a huge hit and it was the first dish we ran completely out of. 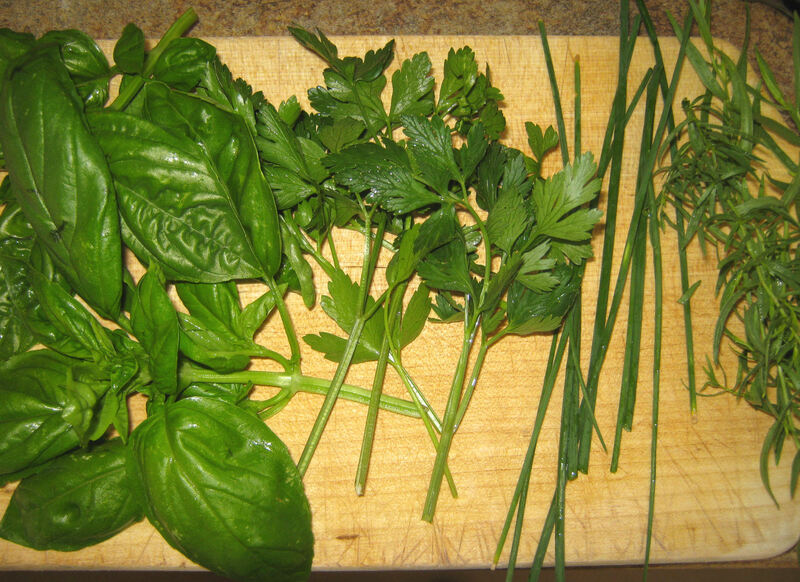 I adapted this recipe by adding a few extra summer herbs I had on hand. Play around with it, adding more of what you like. 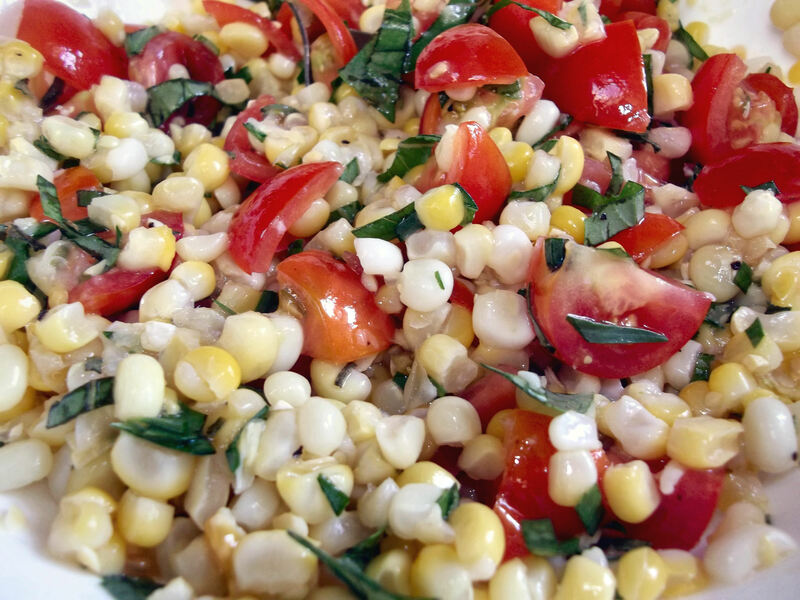 Place the cooked corn in a medium bowl, then add the chopped cherry tomatoes, tarragon, and additional herbs (if using). 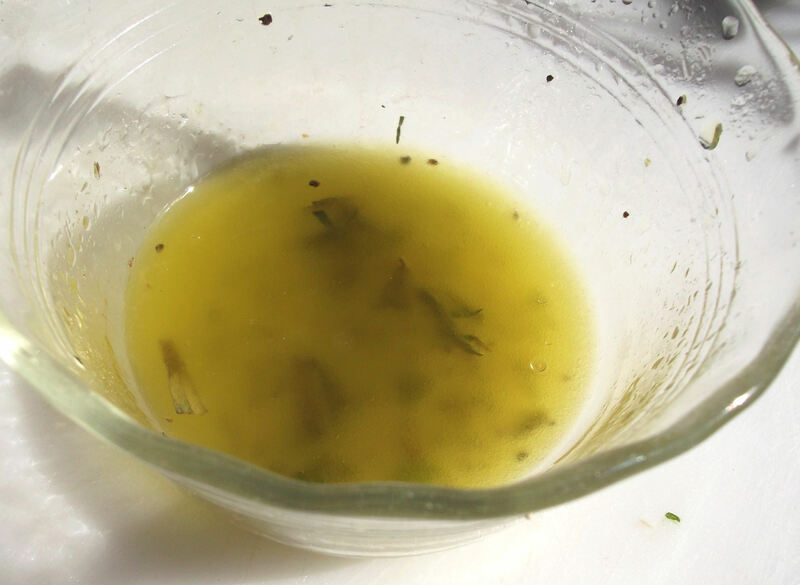 In a small bowl, mix the olive oil with the lemon juice, about ¼ t Kosher salt, and a few grinds of pepper. Drizzle over the corn mixture, toss well to combine, and serve. Adjust salt and pepper to taste. 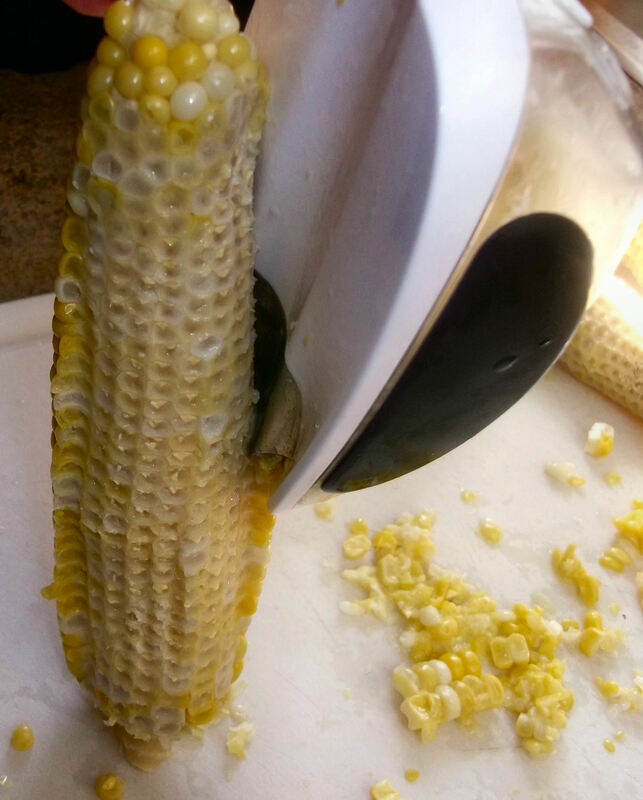 I prefer to cook my corn on the cob first (I usually grill it), and then cut it off the cob using this cool Oxo gadget. Alternatively, you could cut the corn off first and then boil it gently or sauté it for a minute in olive oil. Be sure to use cherry (or grape) tomatoes. 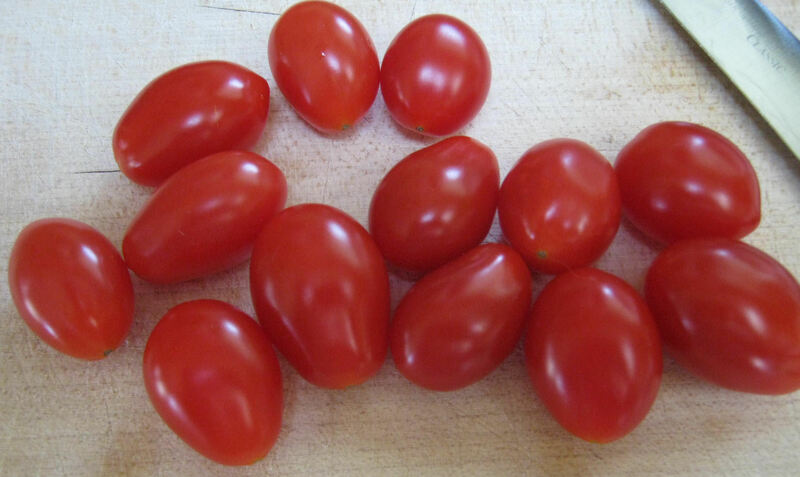 Full sized tomatoes won’t have the same crisp texture. 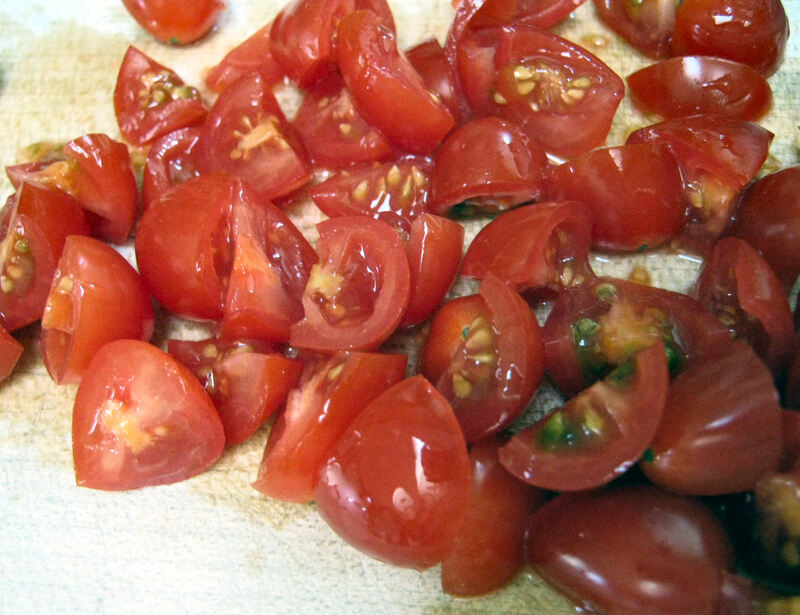 Chop the tomatoes into roughly same-sized pieces. 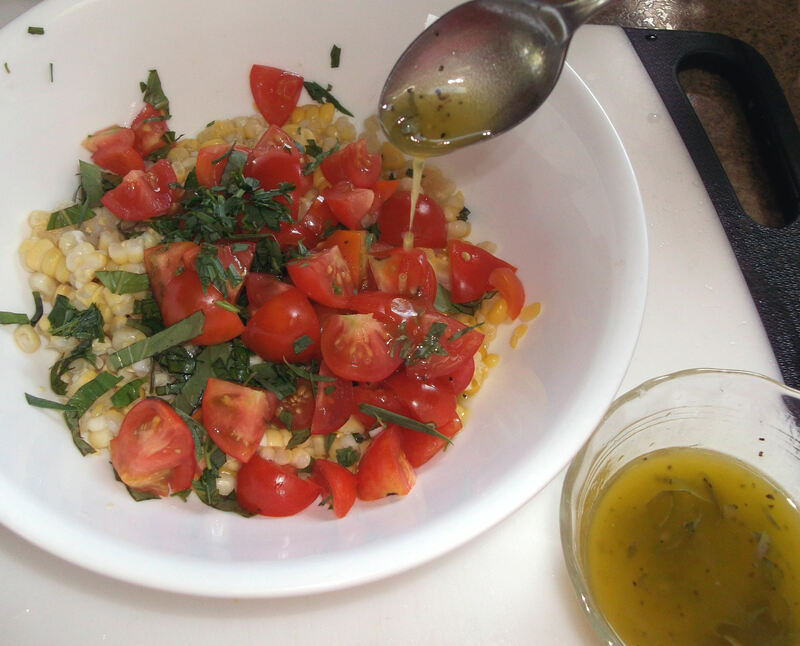 Place the corn, tomatoes and herbs in a bowl and drizzle the lemon vinaigrette over the mixture until it is well coated but not too wet. Toss well to combine, and serve. Enjoy!